Tour of Bright 18 @ 1 Dec - Before the start of the Tawonga Gap stage with Peter Budd, Conor Tarlington, Declan Jones & Mike O’Reilly. BiciSport Happy Wheels Christmas Party on Friday 7 December is hosted by Stewart & Mirielle Campbell at Happy Wheels Waterloo from 5.30pm. All members & friends welcome with food & drinks supplied. Don’t forget this coming weekend with the BiciSport Happy Wheels Christmas Party on Friday 7 December from 5.30pm at Happy Wheels Waterloo. Music, food & drink will be supplied and it’ll be a great night. Look forward to seeing you there. L’Etape @ 1 Dec @ Jindabyne - Graham Cockerton Tom Green, James Thornton & Dom Zumbo all rode well at the L’Etape. 30 Nov - Porepunkah Individual Time Trial @ 14k. A brisk wind greeted the peloton along the Ovens River from Bright towards Porepunkah & return. 1 Dec - Bright to Tawonga Gap Summit Road Race @ 100k. A difficult day in the cycling office with very warm conditions, another brisk tailwind out towards Myrtleford, then a right turn out over the Rosewhite climb towards the Kiewa Valley and onto the Tawonga Gap climb. A grade - Conor was in the peloton to the 90k mark at the first pass through Tawonga, but was unshipped (along with numerous others) to the climb to Bogong then caught the autobus to the Tawonga finish. 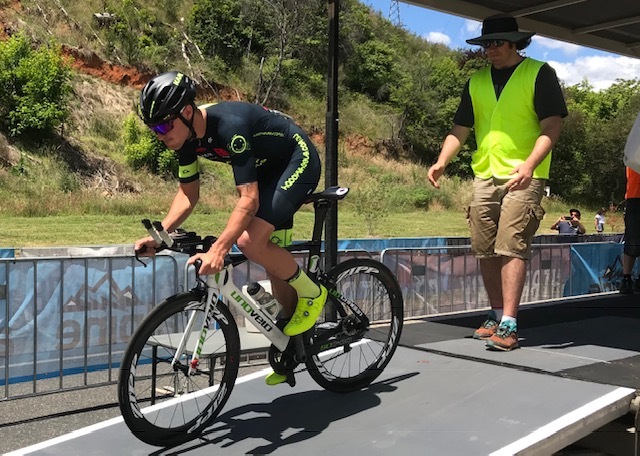 B grade - Declan got in the early break of the day & picked up some handy sprint classification points, then joined the autobus to the finish up Tawonga Gap . 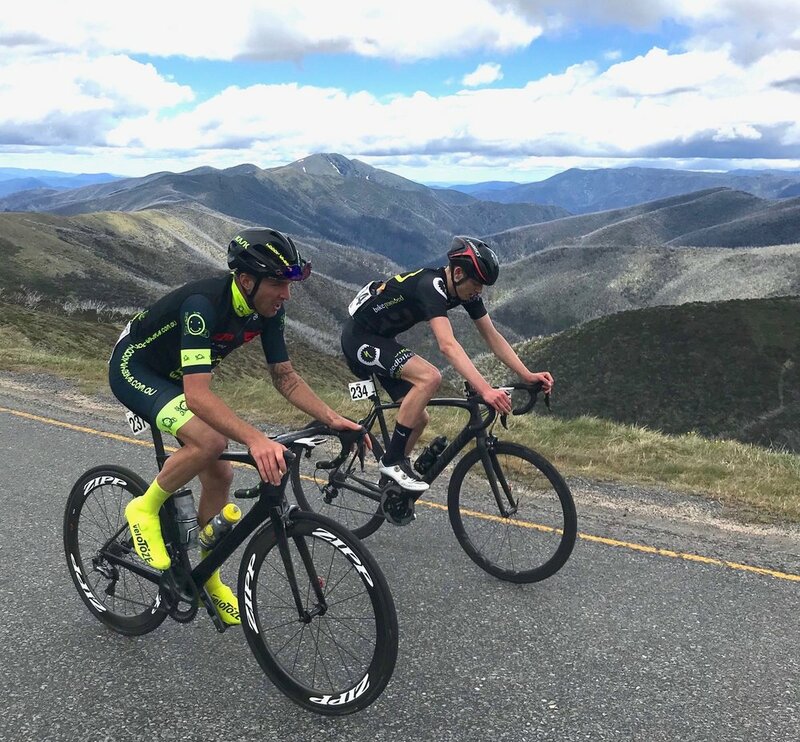 2 Dec - Bright to Mount Hotham Summit Road Race @ 55k. The stage started cloudy & wet with a flat ride towards Harrietville then up the 30k Mount Hotham climb. B grade - Declan again went hunting for Sprint classification points into Harrietville then joined the autobus for the Mount Hotham summit. * Motor traffic conditions are HEAVIER with the NSW School term in full swing. Warringah Rd (at Allambie Heights) … so is this ! Happy Wheels Waterloo Ride @ 6.00am @ Happy Wheels shop at Waterloo. Bennelong Bridge (East Side) @ Rhodes @ 8.00am (4x10k loops around SOPA).